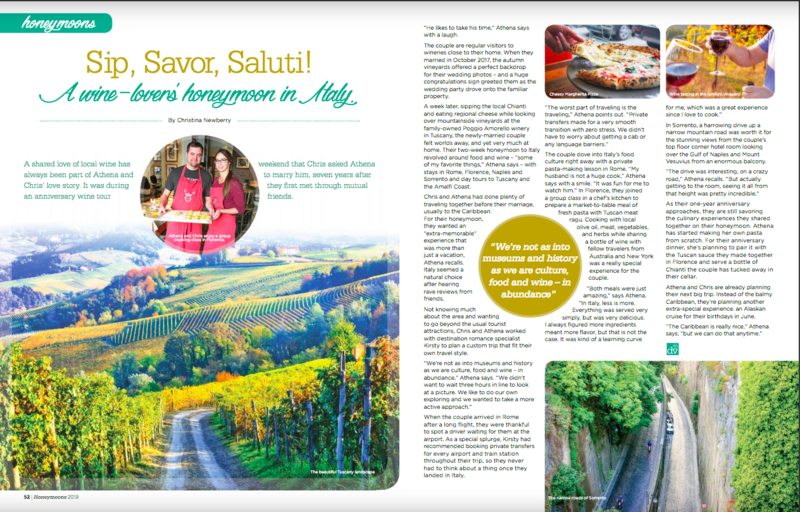 This foodie honeymoon story from the hills of Tuscany appears in the latest issue of Destination Vows. 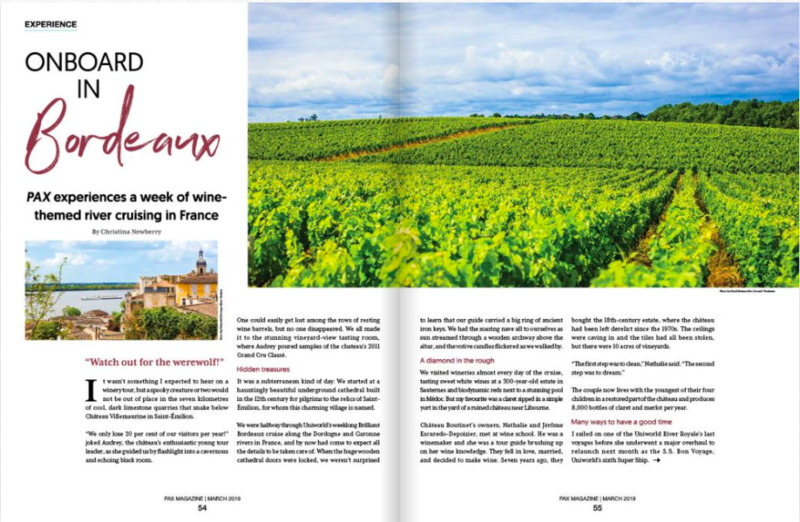 My latest PAX Magazine story explores a week of wine-themed river cruising in France. Check out the digital edition at PAXMagazine.ca. European river cruising offers something for all travelers, from wine lovers to history buffs to hiking fans. 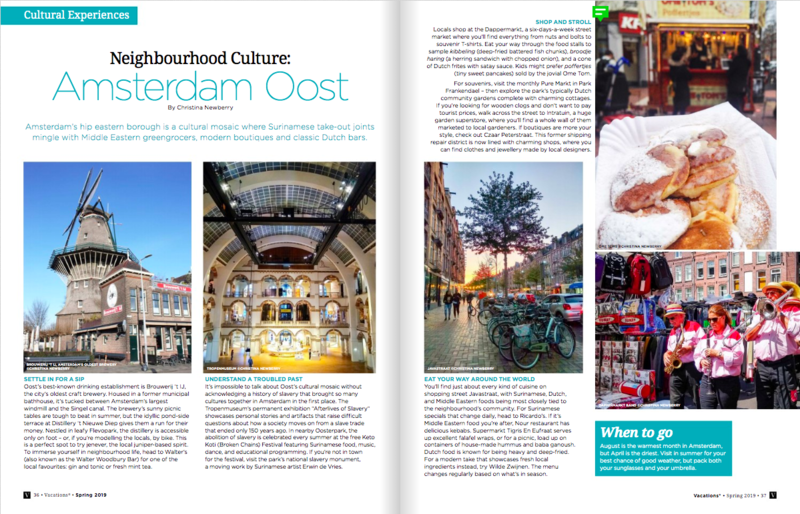 To get a river cruising experience customized to your personal interests, consider a themed itinerary. You’ll meet like-minded cruisers while traveling in your own personal style.